OVER 3,000 police officers and volunteer police auxiliary will be deployed throughout the duration of the celebration of this year's 32nd Kadayawan Festival in Davao City to ensure the safety and security of the public during the festivities. Davao City Police Office (DCPO) spokesperson Ma. Teresita Gaspan said in the AFP-PNP Press Corps media forum on Wednesday, August 2, that their security plan has been laid out already with more stringent measures to be undertaken in close coordination with other law enforcement agencies that will also serve as force multipliers. DCPO's 3,000 police personnel will be deployed and augmented by Police Regional Office-Davao new police graduates and 200 from Regional Public Safety Battalion-Davao and volunteer Police Auxiliary. Gaspan said DCPO remained in full alert status on the wake of Martial Law implementation and they exerted efforts to secure the city and thwart potential threats. "We do not discount the possibility na mataas naman talaga yong threat natin dito sa Davao City considering n adito ang President natin nakatira," she said. 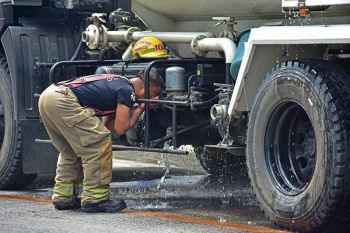 Starting Tuesday, August 1, minor activities were held in the city and they have deployed initial 105 personnel since the major activities will start on August 14 to 20. More security personnel will be dispatched on August 19 for the Indak-Indak sa Kadalanan with a total of 6,030 police and other personnel from different law enforcement agencies. On August 20, which is the Pamulak sa Kadayawan, 5,730 police and other personnel from different law enforcement agencies will be deployed. She assured the public that the security officers are on top of the situation and they will look into areas of convergence. Continuous random checkpoints will also be implemented. 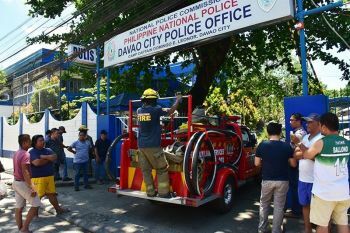 Aside from the police, the Task Force Davao, Bureau of Fire Protection, Philippine Coast Guard, City Transport and Traffic Management Office, Central 911 and Criminal Investigation and Detection Group, will also assist. Authorities also reminded the public, like in previous celebrations in the city, to refrain from bringing prohibited things to avoid inconvenience. 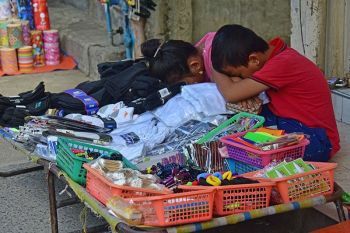 "The same prohibition yong yearly na (practice), mas na-stregthen (it’s more strengthened) considering that we are still in Martial Law so subject sa inspection ang lahat especially ang papasok sa activities (everyone, especially those joining the activities, is subject for inspection)," Gaspan said, adding that bringing of backpacks, wearing shades and ball caps, carrying bottled water and firearms are discouraged.